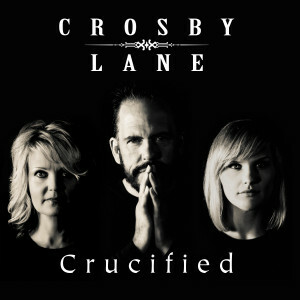 Mansion Entertainment launched the release of Tonja and Crosby Lane’s new video single, “Crucified”, at the beginning of 2016 and National TV networks are beginning to add the video to select programs and video blocks. The first network on board in airing the new video release will be GAC (Great American Country). GAC will begin airing “Crucified” after January 24th. More network placements will be announced in the coming weeks. “Crucified” is the first single and title song of the new Crosby Lane album released on iTunes on December 11th, 2015. The song was initially released to Country Radio Markets two weeks prior to the release of the album and landed in PlayMPE’s Country Weekly Top 20 Download Chart for the first two weeks indicating a strong interest in the single from Country Radio Programmers. Since the release of the single, “Crucified” has been in rotation in County Radio markets from New York to Nebraska. The new single will be released to Southern Gospel Radio, Moody Broadcasting Network and other Christian Radio Markets at the end of February as a follow up to currently radio single, “The Old Rugged Cross” which is currently in rotation and charting on many local station playlists. Crosby Lane is comprised of Tonja, multi-Dove nominated songwriter, singer and instrumentalist John Lemonis, and vocalist, instrumentalist and songwriter Michaela Lemonis. At their core, Crosby Lane is a group of talented songwriters who tour nationwide paying homage to some of the most-beloved hymns in America. Not only do they share a musical passion for these arrangements, but the group introduces audiences to many of the hardships, tragedies and stories that faced the lives of these great hymn writers and how those circumstances provided songs that are now woven into fabric of American Music History. Preview the video on VEVO or YouTube.